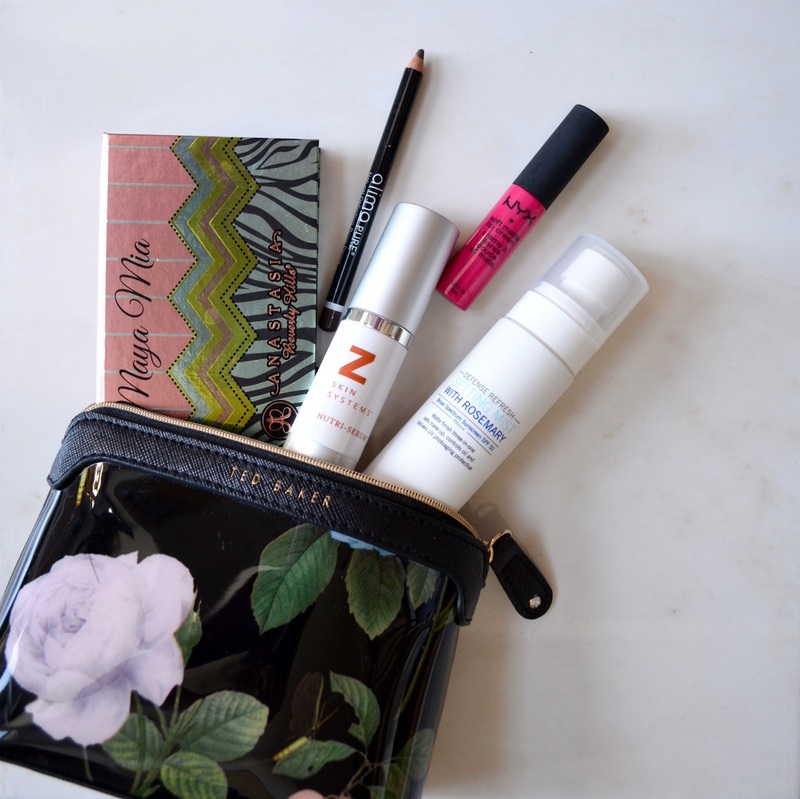 Here's a peek inside my beauty bag this month! First thing's first, the bag. Take a look at this Ted Baker cosmetic bag and its lovely floral motif. It's easy to wipe clean if foundation spills on it and it helps keep make-up organized. Make-up from left to right. 1. Anastasia Beverly Hills Maya Mia eye shadow palette was designed in collaboration with Maya Janeska. The ten shades are great for summer eye drama, but can easily transition into the fall. 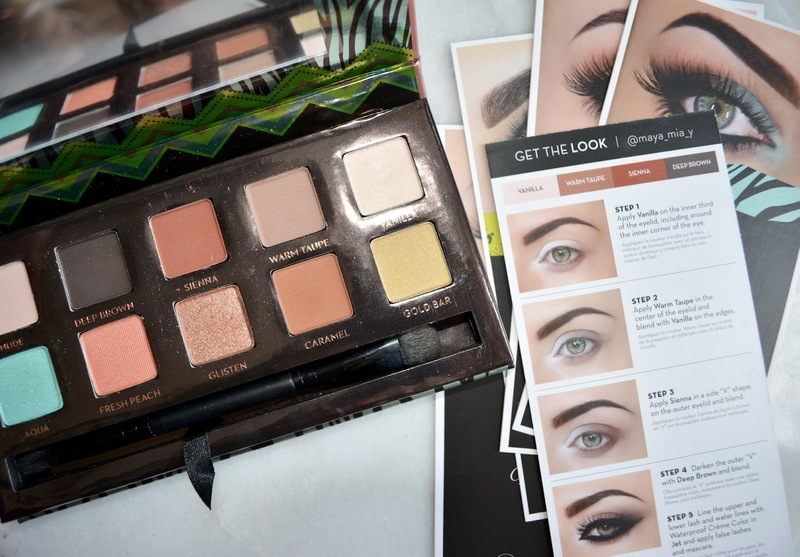 What I love about these palettes are the how-to cards that help us ladies recreate beautiful smoky eyes with the provided colors. 2. 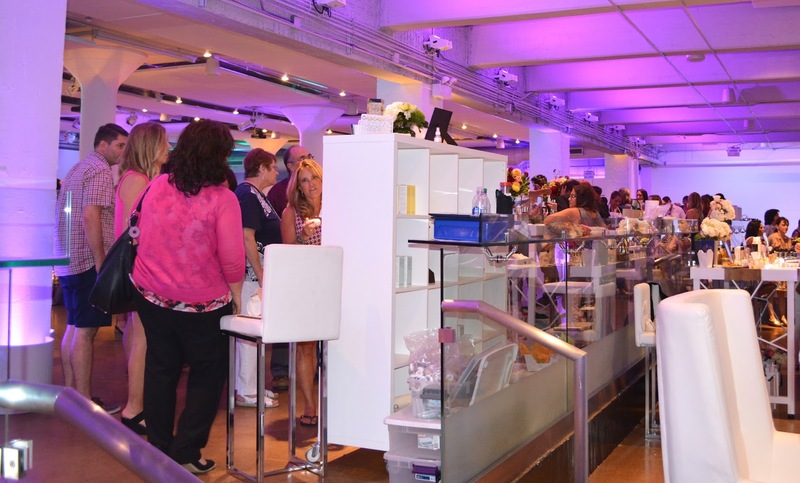 I learned about Alima Pure organic beauty products at A Night for Green Beauty back in August. This Alima Pure eye definer works great for filling in brows and as an eyeliner. 3. This ZSS skin Nutri-Serum is a real game changer. Actually the whole regimen of supplements + serum rocks. The serum contains Zeaxanthin along with other key ingredients that are clinically evaluated to promote skin health. When it is paired with ZSS nutricosmetics packets, the serum helps improve skin glow, radiance, hydration, firmness, the appearance of fine lines and overall skin tone. 4. 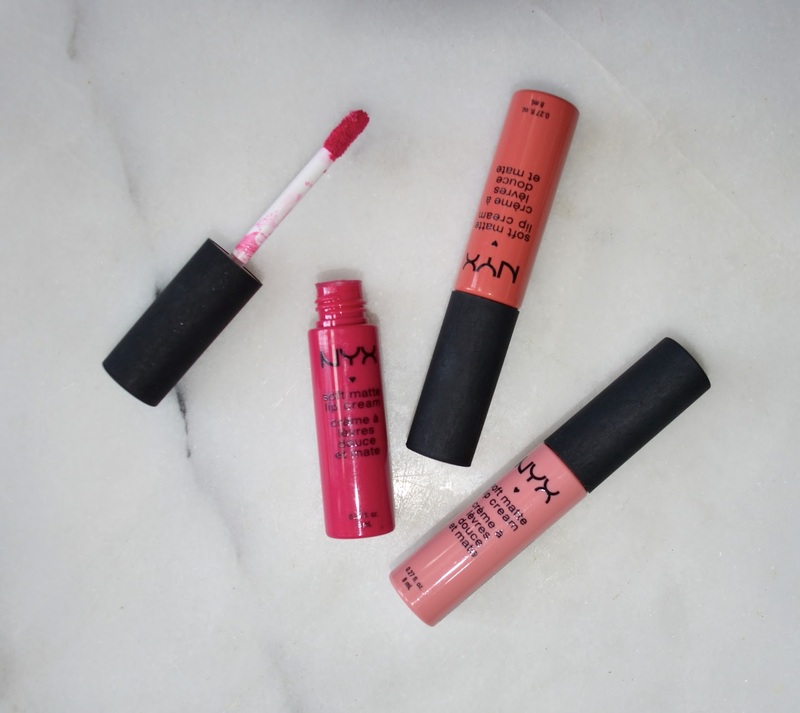 The NYX soft matte lip creams are AWESOME! They have the same staying power of lip stains, but give off a softer finish and just as much of a pop of color. I got this pack of three colors as a gift for my birthday and I wear them all the time. 5. I found this Supergoop Defense Refresh Setting Mist on a Sephora visit. I was looking for some sunscreen and was floored that this spray did triple duty: set make-up, refresh skin with rosemary and protect skin with SPF 50. Although I really like the spray, I wouldn't use it to replace my sunscreen.